Earlier today, Apple has announced that the company has sold over 2 million of the "magical" iPads in in less than 2 months. 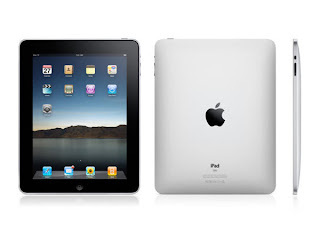 Apple® today announced that iPad™ sales have topped two million in less than 60 days since its launch on April 3. Apple began shipping iPad in Australia, Canada, France, Germany, Italy, Japan, Spain, Switzerland and the UK this past weekend. iPad will be available in nine more countries in July and additional countries later this year. According to AppleInsider.com, Apple is selling about 35,000 - 36,000 iPads a day. Pricing for the Apple iPad starts at $499 for the 16GB Wi-Fi model and $629 for the 3G + Wi-Fi model. You can the full version of today's press release on the Apple website. Thanks for the heads up on the Foleo blog. The difference between that guy and myself is that I'm not talking publily about my Foleo.